I love carob trees (Ceratonia siliqua) and, having had some success with growing cork oaks from seed, I decided to have a go with carob seeds too. I brought two big carob pods back from Portugal in November last year and then – because I’d read that you shouldn’t sow the seeds until the spring – I left them in a cupboard for the rest of the winter . In the spring (12th March to be precise) I cracked open the pods and picked out the seeds. One pod was totally empty, but the other yielded eight seeds. I’d read that you need to sand the seeds and soak them in boiling water prior to planting them, but I was too timid to do that. Instead, I put them into a cup of hot water – 50% boiling: 50% cold – and left them for 24hrs. The next day, I popped each seed into a small peat pot (so-called, they’re not actually made of peat, but other plant fibres) filled with a mixture of sand, general purpose compost and vermiculite. To be honest, because I’d read so many doom and gloom stories about the seeds having low viability, low germination rates and generally being super-tricky to grow, I didn’t hold out too much hope for mine. I put the pots outside, but sheltered by a sheet of glass, and I kept them moist (sometimes I admit they did get a bit dried out, that’s a problem with peat pots). I was amazed when, after less than two weeks, strong roots started growing through the sides and bottoms of one pot after another. At this stage, there were still no signs of growth on the surface – it was all going on underground. I quickly put each peat pot into a larger plant pot filled with the same compost/sand/vermiculite mix. Within a month of sowing, the cotyledons started to poke their heads out in each pot. The slowest one was about three weeks behind the fastest in making its appearance. And since then, the little carob trees have been growing on in their pots. Of the eight seeds I sowed, seven germinated and grew to produce true leaves. Of those seven, six are still doing fine; one was pulled from its pot – probably by a bird – and by the time I found it it was quite wilted. That one is still growing, but it is very stunted. The first true leaves emerging in the second week of May – about eight weeks after planting. Now that winter is here, I’ve moved the little carob trees (they’re between four and five inches tall) into a cold frame. They’re supposed to be hardy to about -8C (17F) which we’re unlikely to see here, but it’s not impossible. Mainly I’ve put them in the frame to keep their soil dry-ish through the winter. One of the little carob trees, nine months after planting. 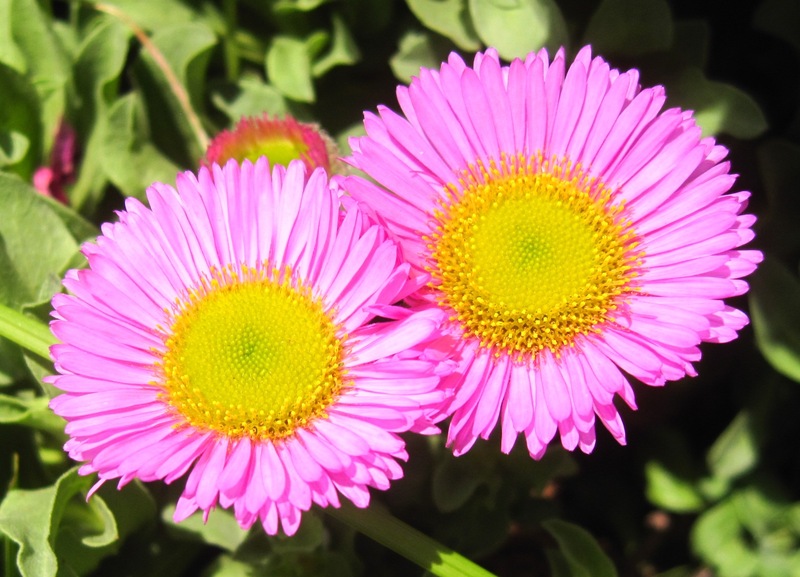 Usually, you hear about mild winters leading to early flowers. But many flowers, including snowdrops, need a certain amount of cold before they’ll flower. It’s called a vernalisation requirement. These snowdrop doubles are growing on a trail in the forest nearby. Snowdrops are widely naturalised throughout the UK, but they’re not considered “native”. In this corner of north Wales, the winter has been so mild that the snowdrops in my garden haven’t even flowered yet. Up until now, we haven’t had a “proper” frost this winter – just the lightest touch; not even enough to stop the nasturtiums from growing. Consequently, the snowdrops haven’t had their dose of cold and are not ready to flower. In previous years, they have flowered as early as Boxing Day. 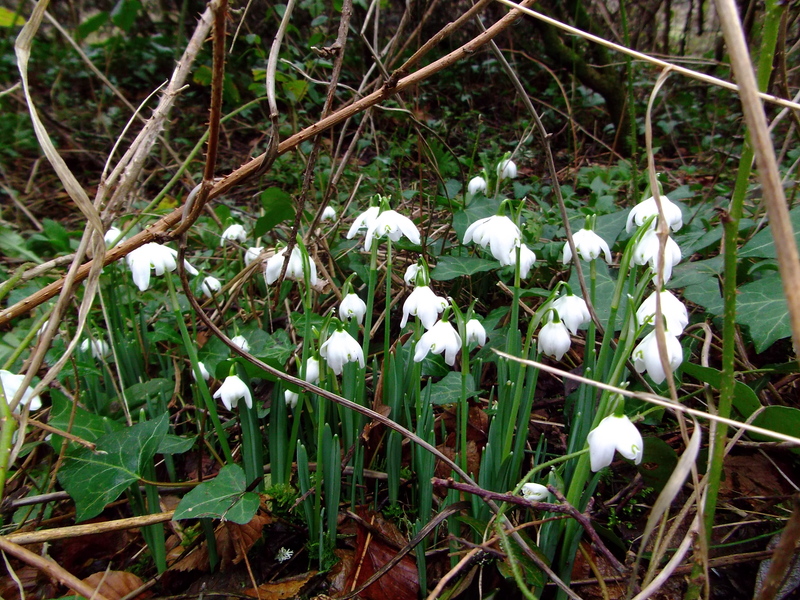 An alternative name for snowdrops is Candlemas Lilies and Candlemas is on the 2nd of February. So, although their flowers seem late to me, my snowdrops are probably actually quite close to their traditional flowering time. The science behind how plants measure temperature and keep track of the coldness they’ve felt is quite amazing and the subject of much research. Snowdrops are steeped deeply in folklore. They are thought to be both a symbol of eternal hope and of bad luck; a sign of purity and of impending doom. Mainly, it seems they’re lucky if you leave them growing, but will bring bad luck if you pick them, and more especially if you pick them and bring them into your home. Snowdrops have attracted much scientific interest because one of their active components, galantamine (named from the Latin name for snowdrop family – Galanthus ), seems to be able to slow the progress of Alzheimer’s disease. Galantamine is also found in other bulbs related to snowdrops. In Wales, daffodils are being cultivated to produce galantamine. Traditionally people have said to propagate snowdrops by division whilst they are still flowering. However, these days it is more usual (and better for the plants) to divide them when they are dormant. The habit of dividing them whilst the flowers were still visible was linked to the value that people placed on the various snowdrop cultivars (of which there are more than 500! ): as these are identified mainly by the patterns on their flowers, having the flowers visible ensured purchasers were receiving the type of snowdrop they sought. You can also grow snowdrops quite easily from seed, but, if you are after a particular flowering pattern it’s unlikely to come true from seed. 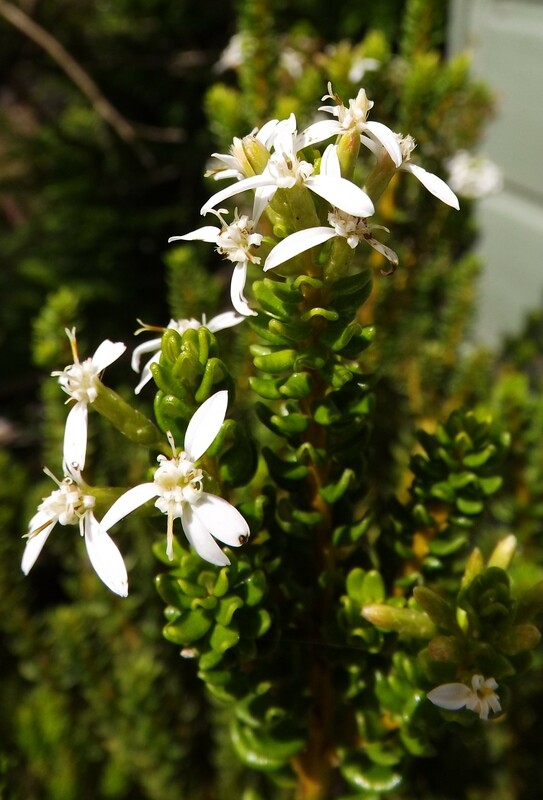 Olearia nummularifolia is an interesting, fragrant and easy to grow ever green shrub. It has tiny, thick, leathery oval leaves and a much branched stem with a generally upright habit. During July and August the tips of its stems are covered with intensely fragrant (if a little scruffy looking) white flowers. It is hardy in the UK and tolerant of salty winds, making it an ideal low maintenance shrub for seaside gardens. It needs no pruning and is not at all unruly. 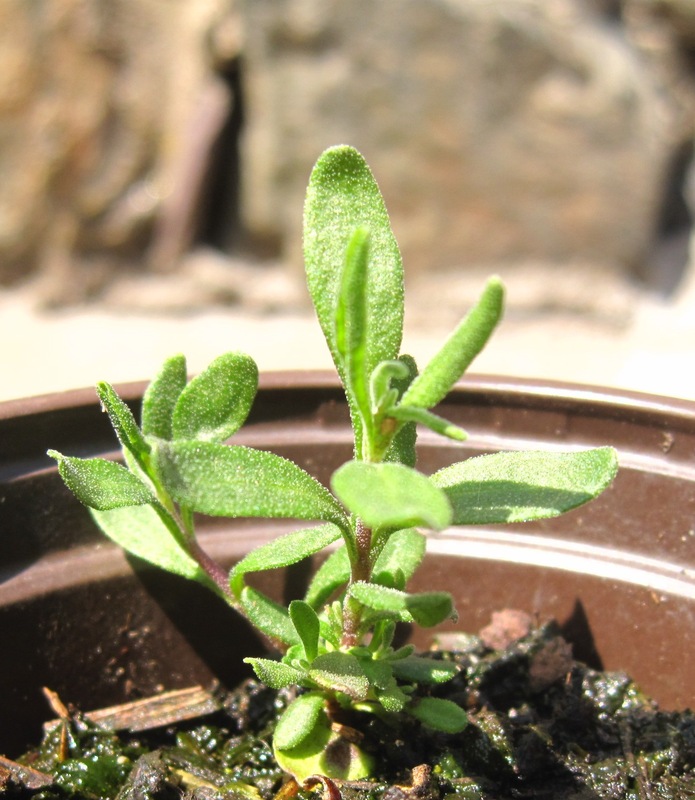 It propagates easily from cuttings – most easily if you keep the growing medium a little on the dry side – but it is slow growing, so you need to be prepared to wait for a shrub of substance to grow! It will never be super-sized anyway, generally only growing to 2m in height at most. It’s taken almost four months, but the plants grown from seed sown in February are now more or less the same size as a micro-module would be at purchase. This is the same seedling that I’ve followed all the way through. 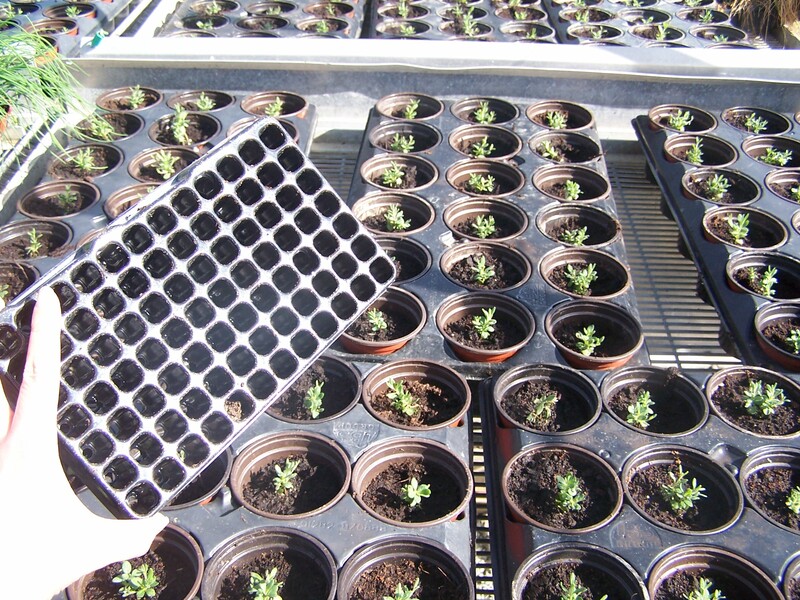 These are the micro-modules (cuttings) that we used to establish a field plot of lavender. The lavender seeds germinated and emerged very well – and much more quickly than I expected, almost all had emerged within 14 days of sowing. They grew very slowly – but they weren’t mollycoddled and were outside in very harsh conditions. Definitely not the ideal way to grow them, and it probably set the seedlings back by six weeks to two months. The blackbirds loved them – they uprooted lots of the seedlings: just pulling them up for fun (same with some lavender cuttings I had growing at the same time). The real proof of whether growing lavender from seed has been a success will only be seen over the next few years. Then I’ll be able to see what the adult plants actually look like and how they perform. So far, I’d say if you’re not in a hurry and have the time to look after the plants, growing lavender from seeds is really easy. But, if you want a quick result and guaranteed consistency in the appearance of the plants, buying (or taking) cuttings is a better bet. 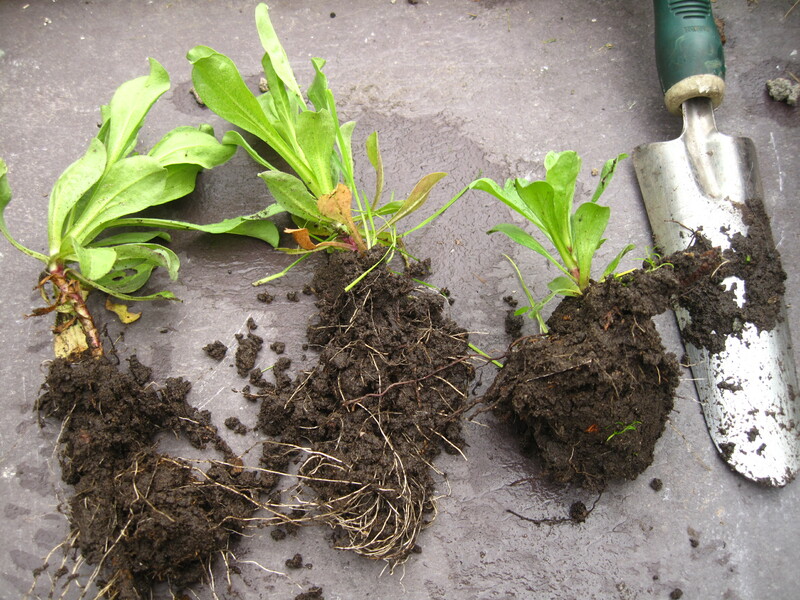 This was the post showing how things looked like seven weeks after sowing. And here are a couple of the plants now, four years later (May 2017). , just coming into flower. In the past I have always bought into the common wisdom that lavender should be grown from cuttings. And, I have to admit, I never questioned the wisdom of this very much. A few years ago, I started a field scale demonstration of lavender with plug plants bought from Kernock Nurseries in Cornwall. The plants grew well; we had nearly 100% success rate after transplanting and they have continued to thrive. However this year, I was given some lavender seeds to trial. I read around the subject a little, and could find no real reason, other than simplicity and speed, for using plug plants. I understand issues about cross pollination and plants not coming true etc. But with stable varieties and the right management during production, that doesn’t need to be an overwhelming problem. And, I’m only growing for ornamental purposes anyway, so some variation between plants is not going to be an issue for me. And from an ecological perspective that genetic variety is a definite good thing. It’s early days yet, but I am happy to report that the seeds had 100% germination and 100% emergence. The first seedling emerged only five days after sowing (and took me completely by surprise). Thereafter, for the next month seedlings continued to emerge: the bulk of them between days 10 and 20 after sowing. I initially sowed the seed into trays, placed on a heat mat, in a mix of roughly 75% seed compost with 25% perlite (by volume). As soon as a few seedlings in each tray had emerged, I took them off the heat and kept them outside in the daytime (and it is still pretty cold here, <10C), but put them under cover at night. I had way too many plants for my need – having paid too much heed to the doom mongers who talk about poor germination etc – so the excess seedlings have been “planted” out of doors to see how they fair (i.e. I tipped them onto a bare patch of earth, trying to keep as many as possible the right way up!). As I said, it is early days, but fingers crossed, I should have lots of replacement plants later in the year. Growing plants from seeds is one of the most satisfying (and cheap!) ways of propagating. Seeds are little power-packs of biological wonder. To get them growing they need moisture and a certain degree of warmth. The seed itself provides the initial food to enable the first root (radicle) and shoot to form. During the early stages when biological activity is inside the seed, light is fairly unimportant (although some seeds do respond to light). However, as soon as the first seed leaves (cotyledons) have popped their heads above the soil, light becomes the most important factor. Light powers photosynthesis, which in turn powers the plant. Without adequate light, your seedlings will be unable to make the food they need to develop and grow. Even if you provide the ideal temperature, humidity and watering, if there isn’t enough light, your seedlings won’t thrive. The physics of lights are complex, and I’m no physicist, but from a plant’s perspective, the quality, the intensity and the duration of light are all important. Quality refers to the wavelengths of the light. At the seedling stage, blue wavelengths are particularly important; red ones are more important for flowering. Light intensity, for plants, usually refers to the part of the spectrum that is “useful” for photosynthesis – called photosynthetically active radiation – PAR. This is classed as light with a wavelength between 400 and 700 nanometers. (Humans can generally see light between 380 and 770 nanometers.) Confusingly, in horticulture, the unit of measure most widely used is the micromole per metre square per second. Not something that trips off the tongue and more confusingly you will also find reference to foot candles, lux and lumen. There’s no need to worry over much about the jargon, what is important to know is that your seedlings will need light which is between 10 and 20 times more intense than is found inside the average house. Dirty glass in a greenhouse or coldframe, or dirty film on a polytunnel will also significantly reduce the intensity (and affect the quality) of light reaching your seed trays. So, when choosing where to site your seed trays look for somewhere with the best possible light exposure, and also good air circulation to prevent stagnation and ensuing problems with rot and mould. If you can’t find adequate natural light, consider supplementing the light: LED lights with low running costs, and light wavelengths specifically developed for plants are widely available. As soon as the seed leaves appear, make sure that your seedlings have optimal light for around eight to 12 hours each day. That way you should grow robust, well coloured seedlings that will develop into strong healthy plants.